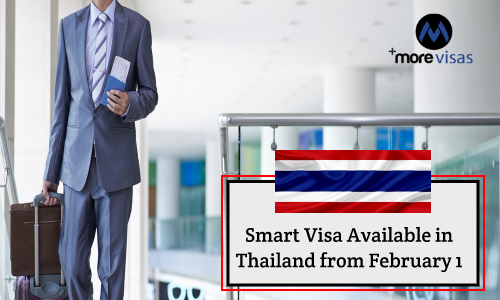 The Cabinet in Thailand has granted an approval for a new smart visa regime to attract specialists for working in ten targeted industries. The date for sending Applications is February 1. Kobsak Pootrakool, a minister serving in the PM Office, stated that the list of targeted industries had Thai-based industries called the First S-Curve and proposed industries called the New S-Curve. In the First S-Curve industries category, the industries belong to next-generation automotive, medical and wellness tourism, smart electronics, agriculture, biotechnology and food for the future. The five New S-Curve category industries are aviation and logistics, automation and robotics, digital businesses, bio-chemicals, eco-friendly petrochemicals, and medical hubs. The smart visa has been divided into four clusters. The first is meant for specialists in scientific fields which suffer from a shortage. The qualifying Individuals need to have a salary of 200,000 baht per month and a one-year employment contract. The spouses and children of such persons can reside and work in Thailand, excluding in prohibited careers. A four-year visa will be given to them as against the 90-day visa which is presently available. The second grouping includes investors who invest 20 million baht in the targeted industries. The third grouping involves such investors, who invest in companies that further invest, in the targeted industries. The fourth grouping has company executives who work in the targeted industries with a salary of 200,000 baht or above per month and have an experience of ten years or above. The government expects that around 1,000 professionals would submit an application for these smart visas and this would not have an impact on the labour market locally.